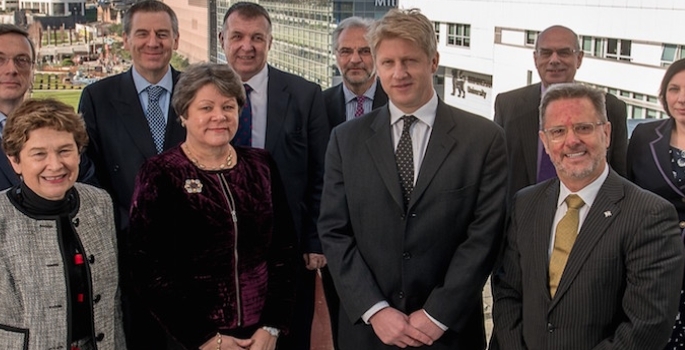 Universities and Science Minister Jo Johnson visited Birmingham City University this week to attend a Universities West Midlands (UWM) roundtable meeting. With Vice-Chancellors from across the region, the minister discussed measures to increase access to Higher Education among under-represented groups. Universities and Science Minister Jo Johnson commented: “The Midlands is home to some of our leading universities, which are continuing the region’s proud history of innovation. I’ve been discussing with their Vice-Chancellors how universities and research can power the Midlands Engine, and what they can do to give more people from disadvantaged backgrounds the opportunity of a degree. Mr Johnson also heard about the scale of the impact Higher Education institutions in the West Midlands have on the regional economy. Professor Cliff Allan, Vice-Chancellor, Birmingham City University added: “West Midlands Higher Education institutions support around 24,000 full-time staff and give life-changing opportunities to over 100,000 students. It has been welcome to have a chance to discuss our role in the regional economy and in enabling under-represented groups to access higher education. 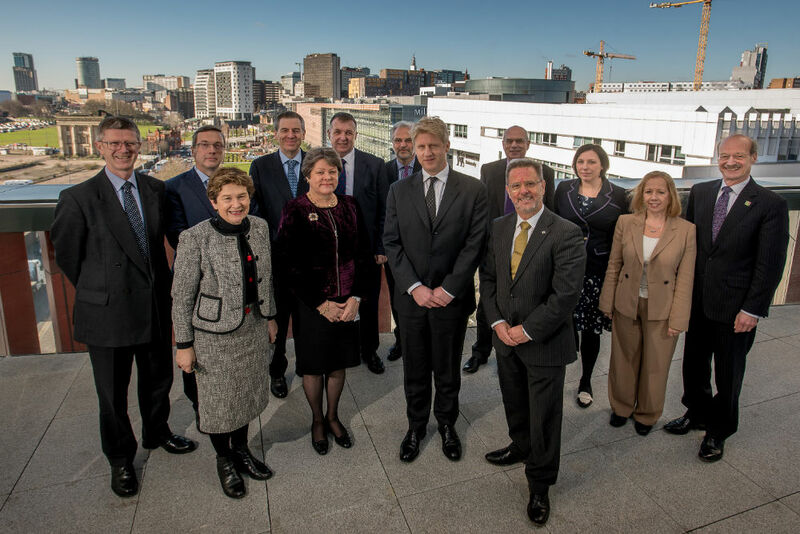 Picture caption (left to right): Professor Peter Lutzeier, Vice-Chancellor, Newman University; Jackie Dunne, Deputy Vice-Chancellor, Wolverhampton University; Alison Torrens, Executive Officer, Universities West Midlands; Professor Cliff Allan, Vice-Chancellor, Birmingham City University; Professor Sir David Eastwood, Vice-Chancellor, University of Birmingham; Universities and Science Minister Jo Johnson; Professor Trevor McMillan, Vice-Chancellor, Keele University; Professor Ray Linforth, Vice-Chancellor, University College Birmingham; Baroness Julia King, Vice-Chancellor, Aston University; Professor David Green, Vice Chancellor, University of Worcester; Rosy Crehan, Deputy Vice-Chancellor, Staffordshire University; Professor Stuart Croft, Vice-Chancellor, University of Warwick; and Dr David Llewellyn, Vice-Chancellor, Harper Adams University.